Get Dark in the Whitewater, Black River Rafting! 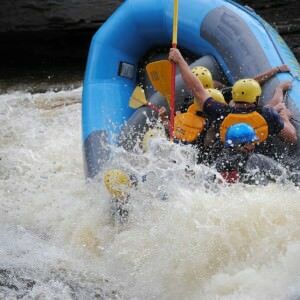 This isn’t just Whitewater Rafting, its Black River Rafting. That’s right, Whitewater rafting in the Black River! Hop in, the water’s fine… although when we say hopping… it might be more like get tossed into the wild waters of the Black River. Join us Friday August 17th – Sunday 19th!! !